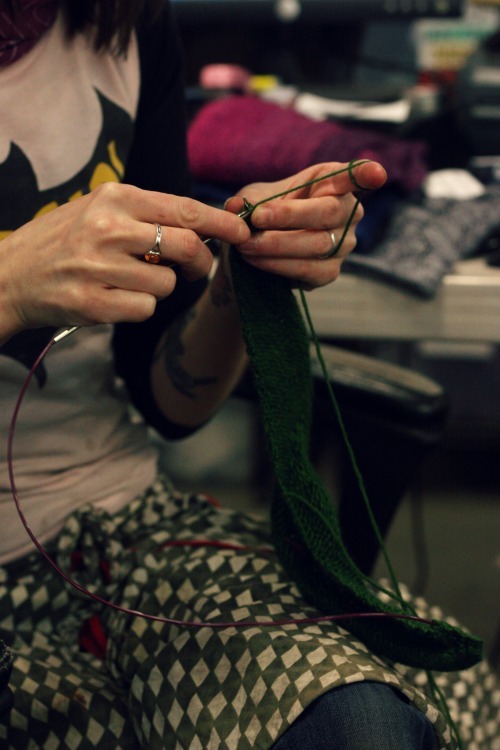 We’re hard at work on new offerings for Fall 2015, and there are fiber bases among the newness. We’ll give away a 4-oz. braid of this Top Who Must Not Be Named to a randomly drawn winner. The catch? You have to guess the fiber blend. Hint: there are three fibers in this blend. Get at least two of them right (be specific with wool breed guesses), and we’ll enter you into the drawing for one braid in our Chocolate Cherry colorway. The other test-braids are in the hands of staff, but we already know we love it. We want to know if you love it, too. Comment on this post to enter! 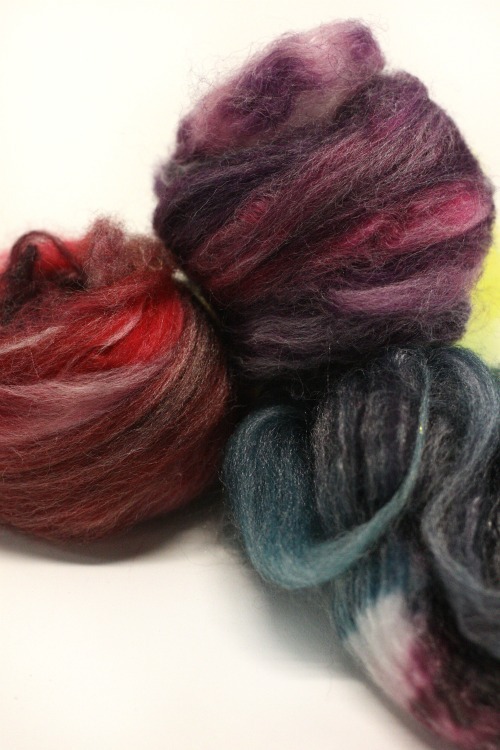 In other news, it’s time again for a seasonal, limited edition colorway in our Three Feet of Sheep. Your LYS can order it for just a short window of time, so put in your requests now! …and I’m ready to start on the waves. I’ve been charting it out and not really coming to any decision, but I’ll force myself to do that and post pics to the Rav group ASAP. Get two of them right. Previous Let the KnitAlongAgainstAlong Begin! Here goes nothing: Falkland, BFL, Alpaca? looks lovely. 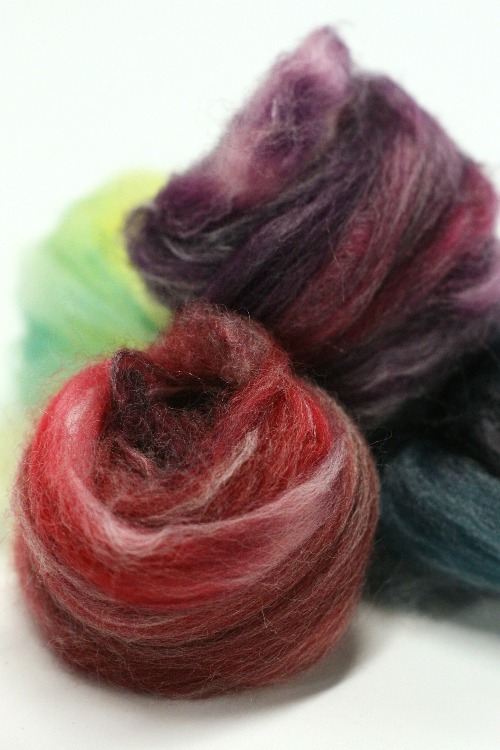 BFL,silk, cashmere ? Michellllllle…you won! 🙂 You’ll get the first reveal of our new blend, AND you get to play with it, too! Merino, rose fiber and nylon.